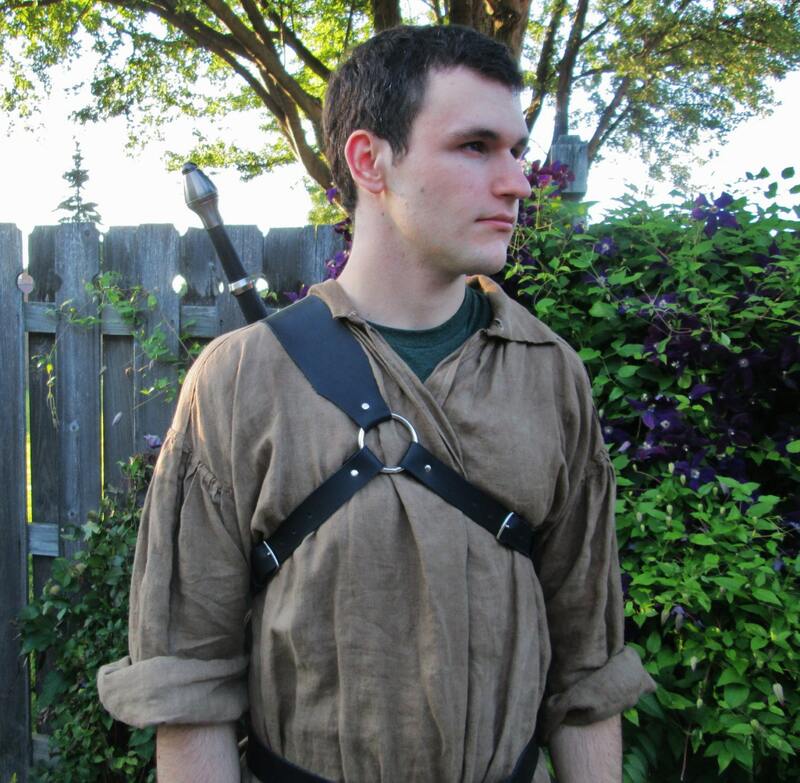 Quality 3 point leather strap, great for carrying your sword or other weapons on your back at Renaissance Faires & other events! These have a functional design, able to carry heavy real weapons, work fine for lightweight larp swords too. 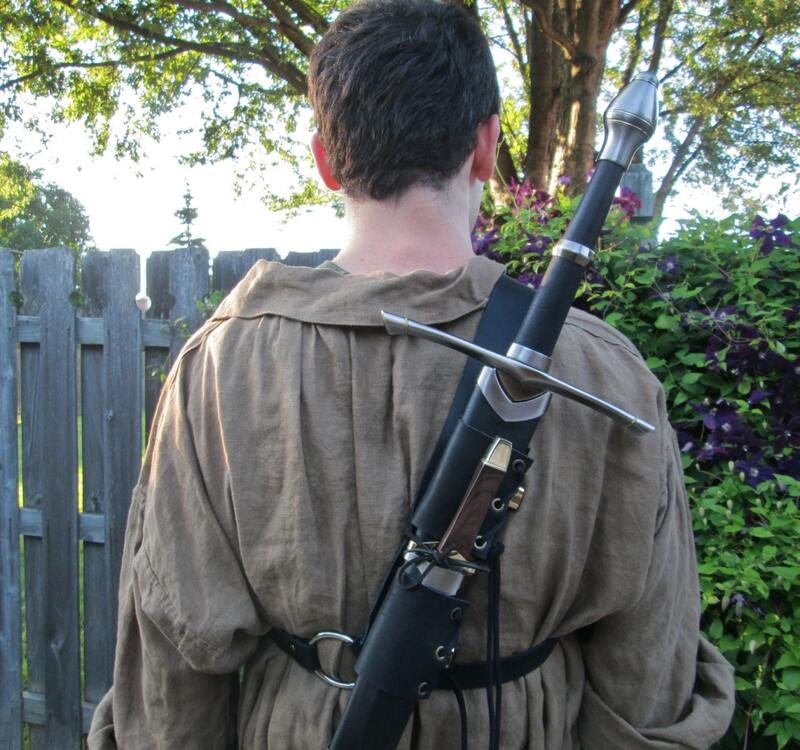 Sections that lace up around your swords are adjustable, fits standard average size swords. Made from quality sturdy cowhide leather, color choices black (or dark brown by request) strong metal hardware - straps are adjustable with buckles. I love how this sword strap is adjustable and made specifically the way I wanted! An excellent piece of vital equipment at an affordable price. I've had a great time dealing with this shop. Amy and Lisa are two adorable ladies who run a great business and provide outstanding customer service. I sent a question about this strap and received an answer in a very short time. I'll be dealing with them from now on ;-)! I apologize I don't have a photo to post right now. This thing works so well it's amazing! This item really tied my whole look together and I would definitely recommend getting this if you're thinking about buying it. The people in this shop were amazing and super helpful and got this to me in record time. comfortable to wear and looks and feels great! Works and looks great. Quick Shipping. Second item I've ordered from the Folk and both were high quality.